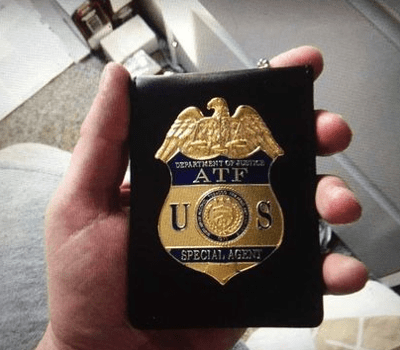 Image of fake ATF badge Jonathan A. Kirschner used to lure his victims. On June 25 Kirchner pleaded guilty to impersonating an ATF agent and selling and importing counterfeit coins and precious metals bars. This week’s most disturbing story was that a New Jersey man was arrested selling counterfeit gold coins and bars while posing as an officer for the Bureau of Alcohol, Tobacco, Firearms, and Explosives (ATF). Jonathan A. Kirschner, 34, of Moorestown, NJ, pleaded guilty to impersonating an ATF agent and unlawfully importing counterfeit coins and bullion into the United States. Kirschner, who used the alias “Jonathan Kratcher,” sold fake gold bars to a collector for $11,000 in cash. When the collector brought them to a dealer it was determined they were fakes. The dealer reported the incident to Industry Council for Tangible Assets Anti-Counterfeiting Task Force (ICTA ACTF) who reported it to federal law enforcement. After being caught, Kirschner admitted to also selling 59 fake Morgan dollars and importing the bogus coins and bullion from other countries, including China. Even though Kirschner had a badge that looked real, it is likely that he did not have a Personal Identity Verification (PIV) card that every employee and contractor to the United States federal government is supposed to carry. Those in the military may also know this as a Common Access Card (CAC). Regardless of the name, the format is the same and should be included with the badge to properly identify the law enforcement officer. The requirement for PIV cards as a common control came as a result of President George W. Bush issuing Homeland Security Presidential Directive 12 (HSPD-12) that called for a mandatory, government-wide standard for secure and reliable forms of identification issued by the federal government to its employees and to the employees of federal contractors. If you have any question as to the identity of any federal government official, you are allowed to ask for further identification. They must show their PIV card to confirm their identity. When you look at the PIV card, make sure the name and picture match the person in front of you. Also, ensure the agency on the card matches the agency the person claims to be from. It is not enough for the PIV card to say the person works for the Department of Homeland Security (DHS). DHS does not do direct law enforcement. It should say that the PIV card was issued by the ATF, U.S. Secret Service, or any other appropriate law enforcement agency including the Federal Bureau of Investigation (FBI). Before you buy expensive coins and bullion from a stranger you may want to take a lesson from foreign policy: trust but verify. Numismatists and serious collectors will tell you to never clean your coins. At one time it was common practice to clean coins and even use shellac on copper coins to keep their color. Dealers would dip coins in harsh chemicals to remove dirt and grime in order to make the coins more attractive to buyers. But that was in the past. Today, we are more sophisticated collectors and like our coins with as natural of a surface as possible. Because of this, the value of a cleaned coin will drop since it will not be as desirable as a coin with an original surface, regardless of the coin’s overall condition. Movement, addition to, or otherwise altering of metal, so that a coin appears to be in a better state of preservation, or more valuable than it otherwise would be. A few examples are plugging, whizzing, polishing, engraving, “lasering” and adding or removing mintmarks. 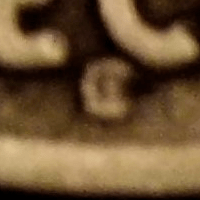 Intentional exposure of a coin to any chemicals, substances, or processes which impart toning, such that the coin appears to be in a better state of preservation or more valuable than it otherwise would be. Naturally occurring toning imparted during long-term storage using established/traditional methods, such as coin albums, rolls, flips, or envelopes, does not constitute coin doctoring. But there may be good reasons to clean collectible coins that may not be considered coin doctoring. Some may have collectibles that could be saved if we could just get the dirt or grime off. Some may have some PVC damage that may not have attacked the surface of the coin and could also be saved. Another reason to clean coins is if you found the coins with a metal detector buried in the ground. Years of being buried in the dirt probably stored in non-archival materials can take its toll on a coin. These coins can be cleaned to remove the dirt. The purpose is to remove the foreign substances from the surfaces and not to change the physical properties of the coin. WARNING: IF YOU ARE UNSURE ABOUT THIS PROCEDURE OR WANT TO CONSERVE A RARE COIN, CONTACT A PROFESSIONAL CONSERVATION SERVICE. If you want to try to clean your coin, consider using neutral and non-abrasive means, such as soaking your coins in extra-virginolive oil or acetone. Yes, I did say extra-virgin olive oil. Extra-virgin olive oil is as neutral as you can get with a product that has been used to make soaps and other cleaners. In order for olive oil to be branded as “extra-virgin,” it must be made by the natural pressing of olives with no chemical additives and be no more than 0.8 percent acidic. Not only does the purity make for oil that is good for consumption, the natural fats can react with dirt on the coin and naturally loosen it to be easily rinsed away. When trying to remove PVC or other stubborn dirt, try using acetone. Acetone is a natural solvent, chemically known as an organic compound, that has many uses. Acetone is slightly acidic, no more than two percent by volume, which is not enough to cause damage to coining metals. When you buy acetone, check the contents. Acetone that is sold on the paint aisles may contain extra ingredients like turpentine to aid in cleaning brushes. It is important that you use pure acetone. Onyx Professional is pure acetone marketed to the beauty care market and is safe to use. Its advantage is that it comes in smaller containers than other brands and can be easily ordered online. If you use acetone you need to use 100-percent pure acetone and not nail polish remover. Although nail polish remover does contain acetone, it also contains perfumes and is diluted to the point that it will not work on your coins. The additives will damage the coin’s surface. Acetone can be purchased at your local hardware store and is sold either by the quart or gallon. While shopping, you should also purchase protective gloves (made from powder-free latex or nitrile), a protective mask for your nose and mouth, and something for your eyes if you do not wear glasses. Always remember your safety when using any chemical! You should never use vinegar or soap. Vinegar is acidic and could affect the surface of the coin. Using vinegar can cause the small scratches and imperfections from the minting or bagging process to become more pronounced. These small etches can also become rough and allow new dirt to adhere to the coin. If you go to any coin supply company, you will find commercial coin cleaners. While there are a few that claim to be pH neutral, they contain elements that could cause damage to coins. For metal detector finds and non-rare coins, these may be fine products to use. 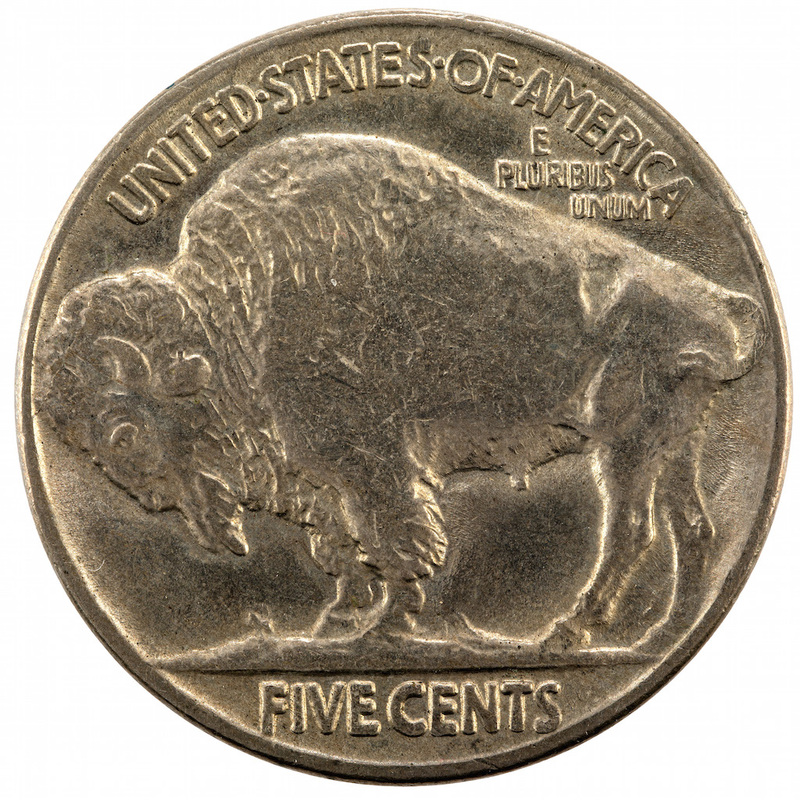 Others that will brighten or tone a coin do so by altering the surfaces and are not recommended. Soap is a salt of a fatty acid. Chemically, a salt is a compound that neutralizes the reaction between the alkaline and acid properties of the chemicals. When fats are combined with other ingredients to reduce its acidity, it creates a soap that can be used for cleaning or lubrication. The problem is that the fatty acids on their own will not damage coins, you never know what the alkaline components are that have been added to balance the pH (potential of Hydrogen) of the acid. Unfortunately, there is no standard definition of pure soap. Its common use is to define a product whose pH is as close to neutral (pH 7) as chemically possible. Unless the company discloses its formula, it would be impossible to tell if the makeup of the soap will negatively interact with the metals. One final item you should have is distilled water. Distilled water has all the natural impurities removed and reduced the risk of the rinse damaging your coins. Using a squeeze bottle filled with distilled water is the most effective way to rinse away the olive oil or acetone. Start with a clean work area. Wash your hands and work on a clean surface. Cleaning your workspace with anti-bacterial wipes will also help. Make sure your work area is safe and well ventilated, especially if you are using acetone. Consider covering your work surface with a lint-free towel folded over several times. If you drop the coin, you will drop it on the padding provided by the towel. If you are using acetone, don your safety gear. I cannot stress enough that while using acetone is an effective cleaner, you need to work with it in a well-ventilated area and away from any ignition sources, like your kitchen. If you smoke, you may want to leave your matches and lighter outside your work area. Pour your acetone or olive oil into a glass that would cover the coin. The depth should be about one-quarter to one-half inch of your liquid. It is also important to use glass for this. Acetone will react with plastic and olive oil may loosen anything that would be stuck to the plastic. A clean glass jar, drinking glass, or dessert bowl works best. If you are using acetone, place the coin in the glass and swirl it around for about 30 seconds. After a few swirls, you should start to see dirt in the acetone. If there is PVC on the coin, hopefully, you can see it begin to loosen. Do not do this for much longer than 30 seconds since the dirt in the acetone could scratch the coin. If you are using olive oil, place the coin in the glass with the dirtiest side up. Swirl it a few times to ensure the coin is coated and let it sit. Olive oil is not as strong as acetone and needs time to loosen the dirt. Depending on how dirty the coin is, let it sit for 30 minutes to three hours. Do not touch or swirl the coin. Just let it sit. Remove the coin from its bath with tongs or your gloved hand. Then using your squeeze bottle filled with distilled water, rinse the coin. Rinse it well to remove the acetone or olive oil. Olive oil is harder to rinse, so patience is required. After the rinse, place the coin on a lint-free cloth and let it air dry. DO NOT RUB THE COIN! Even though you are using a lint-free cloth, it will scratch the surface. Wait for the coin to dry naturally before storing it away. After swirling the coin in the acetone, remove the coin from the liquid and place it on a clean surface. Make sure you are using all of your safety precautions. Using a cotton swab with a cardboard handle (do not use once with plastic handles since the acetone will react with the plastic), dip the cotton in the acetone and roll the cotton tip across the problem area of the coin. You can gently nudge at PVC particles that may still be attached to your coin. DO NOT RUB THE COIN! You are trying to remove the PVC without causing any further damage and rubbing it or using any other abrasive motion will damage the coin. Keep rolling the cotton tip over the area, changing tips after a few rolls. You may also want to have a little clean acetone nearby to dip the cotton swab. Most importantly, be patient. It may take a few swabs to see results. If it is not working or you feel anxious doing this, then stop. The last thing you want to do is add damage to your collectible. At this point, if the coin is not “clean” then it may not be cleanable. You can try to contact a professional conservation service for additional help. When you are done, make sure you clean your work area and dispose of your used materials properly. Acetone is considered hazardous so NEVER POUR ACETONE DOWN THE DRAIN. Do not let it sit out because allowing it to evaporate will add toxic vapors in the air. Many cities and towns have hazardous waste processing rules. Find out what they do in your area to allow for disposal of acetone. You can also ask the sales clerk at the store where you bought the acetone for your area’s acceptable disposal options. While olive oil is not hazardous, it is not a good idea to pour it down the drain. The natural fat in the olive oil will congeal and may stick to your pipes. After a while, the fat builds up and will cause a clog. In my neighborhood, the water company once had to remove a 25-pound congealed ball of grease that caused a backup in everyone’s drain. It was not a pretty sight. You can dispose of olive oil with the trash since it is a natural product and will not pollute the environment. Really? A real tribute proof? Give me a break! While watching television, a new advertisement sent off the usual bells and whistles that the numismatic industry needs to watch out for. 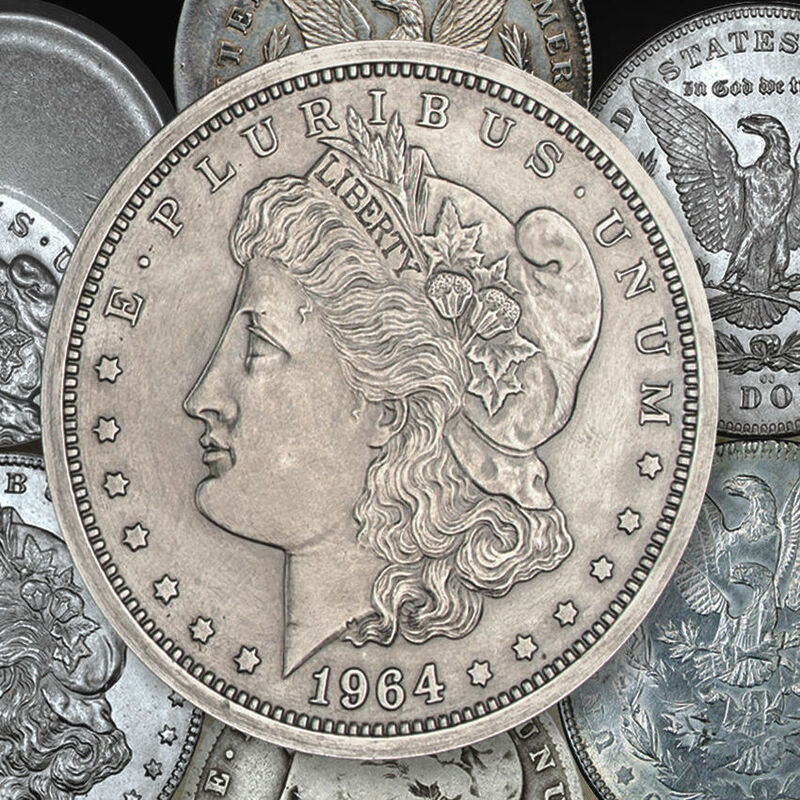 Our “friends” at the National Collectors Mint has seized on the story of the dies and drawings of a potential 1964 Morgan Dollar that was first published in the fifth edition of A Guide Book of Morgan Silver Dollars. They came up with a tribute proof. As with all of their tribute proofs, it is clad in 71 milligrams of pure silver. To give you an idea of how much 71 milligrams is, it is 0.002504 ounce or just a little more than two one-thousandths of an ounce. 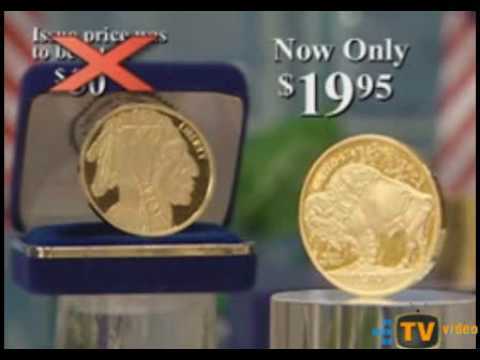 If troy ounces are more your style, it is 0.0022827 troy ounces. This item has 4-cents worth of silver using the current silver price of $16.33 per troy ounce. With mouth agape as I was trying not to throw something at the television, not only are they selling these at $9.95 each ($19.95 on their website) but they may have figured out a way not to have to embed the word COPY somewhere. They must have made a “deal” with someone in the Cook Islands to put their name on the coin so as to represent it as a coin issued by or for the Cook Islands. On the back of the coin, rather than the regular legend, it says “TRIBUTE TO THE UNITED STATES OF AMERICA.” A portrait of Queen Elizabeth II is on the left side of the eagle and “COOK ISLANDS” is on the right. They are claiming that these are legal tender coins of the Cook Islands. The commercial does not identify these as non-circulating legal tender coins even though they do make that distinction on their website. In all other ways, it looks like it could be a 1964 Morgan Dollar. I was told that commercials for this coin first appeared last August, likely not on cable stations I watch. Apparently, they are stepping up their advertising because I saw it twice on Tuesday night. Like most of their stuff, collectibility is in the eye of the beholder. However, if someone asks whether you think it is a good buy I would recommend you tell them to save their money. I have seen these “tribute coins” in the junk bins at shows for prices ranging from $1.00-$2.50. The fact that they are in dealer junk bins should be enough of a warning! There are many ways to collect numismatics and there are many places that a collector can find items to add to a collection. Collecting can be an expensive hobby regardless of what is collected. Whether it is numismatics or comic books, one piece is never enough and there is always a desire to collect an entire set regardless of the parts that make up the set. When collecting numismatics, we know about the coin dealer, coin shows, and online auctions from the major auction houses and eBay. But did you know there were other online auctions that you can tap into to find collectibles with better prices? There is an entire community of resellers working with estates, relocations, downsizing, and liquidation that offers a way to find bargains. Estates are an easy concept to understand. Someone dies and the family, executor, or personal representative of the estate has the responsibility to clean out the home, apartment, or condominium of the decedent so that everyone else can move on. Regardless of how gentle we try to be, everyone dies and something has to be done with the stuff left behind. This is where estate sale companies are a help. These companies are contracted to whoever is trying to sell off the estate and hold a sale of the goods. Some estate sales are held over one or two weekends. Buyers go to the house to see what is for sale and buy what they want. Over the last few years, there has been a growing number of online estate auctions. Rather than holding a sale, the items are either staged in the home or in a warehouse and people bid online. Estate auctions have been extended to relocations, downsizing, and liquidation of seized properties and even commercial assets. Online estate auctions work like any other online auction. You bid for the item you want and hope you win. When the auction is over, you pay for the item plus a buyer’s premium, similar to what you would pay if you were buying from an auction house. In most cases, the buyer’s premium ranges from 10-15 percent of the selling (hammer) price. In most cases, local sales tax is charged. Although you can find bargains at these auctions, it is not always an easy process. First, not every company works the same. Unlike eBay where there are consistent rules sellers have to abide by, estate auction terms and conditions can be very different than what you are used to. Before you bid, read the terms and conditions. If you cannot abide by them, do not agree to bid on the auction. How do you agree to the terms and condition? Register on the auction site and click the button for that auction. Registration requires you to identify yourself including entering a valid credit card. 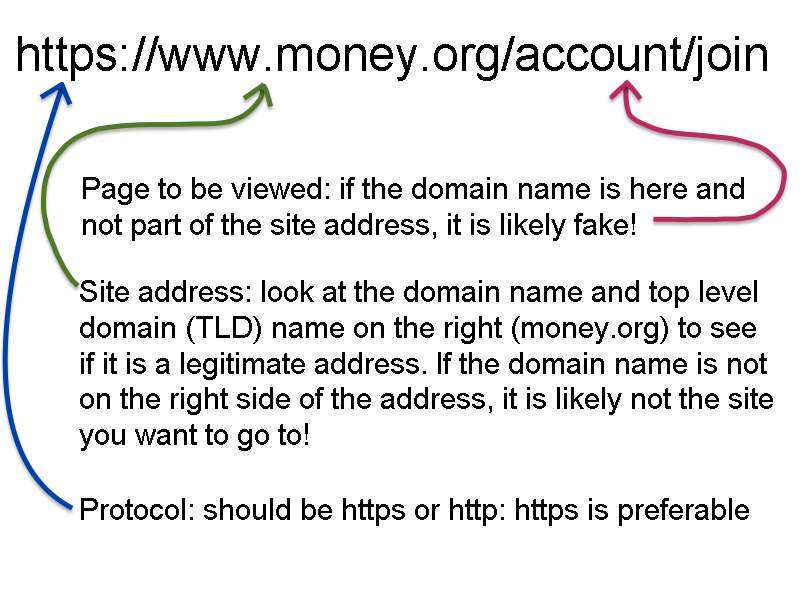 When you agree to the terms and conditions of the auction, most companies will put a hold on your credit card for a set value to determine that the credit card is valid. These holds can range from $1-100. Remember this if you use a debit card. In most cases, your credit card will be charged for the purchases immediately up the close of the auction. The auction platforms may be very different than what you are used to. These auction platforms take their cues from services offered by major auction houses and not eBay. Their catalog is a list of lots for sale that includes pictures an additional information. Not every item includes good pictures or descriptions and not every auction service uses their software to its best capabilities. Some companies offer a live preview. If the auction is being staged onsite, then you can go to that site during the designated time and examine the items up for bid. Auctions held from warehouses usually hold multi-day previews. If you cannot attend a preview or if there is no preview offered, you have to rely on the pictures. If the picture does not give you the confidence you need to bid, pass on that item. These auctions allow you to enter a maximum bid and will raise your bid price until someone outbids your maximum, similar to what you may be used to on eBay. One big difference is that most of these auctions use a soft close system. A soft close happens when a bid is received at the last minute of the auction. When a bid is received the end of the auction is extended. Most auctions will extend the end time 3-5 minutes to prevent sniping. Most of these estate and liquidation auction services set their lots up with a low starting price. Usually, the opening price is $1.00 and sell with no reserve. Some have other practices that they use to protect the seller of higher-priced items. But this scenario can be a recipe for finding bargains. In one auction, I was able to purchase three Carson City Morgan Dollars in GSA holders for about 75-percent of than their Greysheet value even after sales taxes and buyer’s fee were added. I was then able to sell the coins to a client who paid their Greysheet value giving me a nice profit for the day. Another issue you will have to work around is that many of these auctions do not provide shipping. If you read their terms it will say that if you win you will have to pick up your items at a specific place during the designated pickup time. If you want your items shipped you will have to work with a third-party shipping service such as the local Parcels Plus or UPS Store. There have been mixed reports using third-party shipping services. Some are very good, contientious, and will take care of you but at a cost. There are others that are not very good and have been known not to pack the items well and pilfer from your winnings. There is no way to know the rating of the auction service’s recommended shipper. You may want to try to find online reviews of that shipper. A few of these estate auction companies will provide shipping services. If you require shipping, you may have to do this as part of the registration or contact the company immediately following the close of the auction. Those companies that provide shipping will charge a service fee in addition to the postage. Remember, the larger and more expensive the item, the more will be required for it to be shipped. When purchasing anything from an estate auction, it is important that you read and understand their terms and conditions before you bid and buy. Each service has different terms and conditions that could turn your purchase into a nightmare. If you are careful, you can find bargains. Where can you find these bargains? This is where I give up the secrets that have allowed me to build a collectibles business. I have used these resources to travel the region to find cool items that have made a lot of people smile. My first go-to resource is EstateSales.net. I have found no other resource with the most complete listing of every estate sale and auctions for whatever region of the country I am located. It is a free service for buyers. Either select your state or enter your zip code to find all of the sales in your area. Even if you are visiting your relatives out of town, enter their zip code and see if you can find some bargains. Listings on EstateSales.net include the address and hours of the sale. If it is an online auction, it will provide a link to the auction site. Each sale page can include photos of the items for sale. While photos are not required, most listings include them. You can get a preview of the items for sale to help you decide whether it is worth the trip or the effort to bid. They also have a mailing list you can sign up for that will send you sales in your selected region. Using the listing on EstateSales.net, you will learn who some of the local auction companies are. 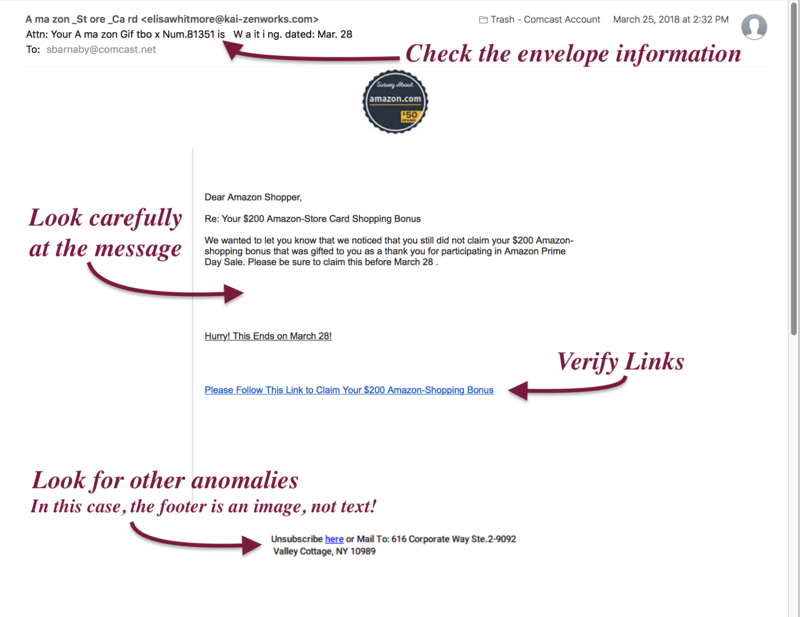 You can either watch for their sales on EstateSales.net or go to their website and sign up for their mailing list. Some of these auction companies continue to have live, in-person auctions and it may be something you will consider attending. Another place to find estate auctions is on the site that provides the auction services to the various companies. One of the largest services is HiBid.com. HiBid is a great site for finding a lot of auctions in a lot of places and supports a few different auction formats including online only, live webcast auctions, absentee bidding, or just catalogs for auctions that will be live or even on another platform. They will allow you to search across auction companies and regions. As I am writing this, there are 1,134 open auctions with 794 being internet online-only. Of those online-only auctions, there are 3,607 lots in the Coins & Paper Money category. AuctionZip.com is another auction hosting service that is very auction company-centric. While you can search across auctions its model is to try to protect the propriety of the companies that use its site. Once you see the difference in the interface between HiBid.com and AuctionZip.com, you will understand why the former is more popular. One nice feature about AuctionZip.com is that when you do a search it lets you look at the auctions open for a particular day. If you have time restrictions, it will allow you to better tailor your bidding times. This is good if you are traveling so that you do not have a conflict with the end of the auction. LiveAuctioneers.com is a similar service but serves a more upscale audience. Their service has stricter requirements as to who can list auctions on their platform. What this does is provide better assurances for the buyer that they are dealing with a more established company. Currently, there are 7,780 items listed for auction in the Coins, Currency & Stamps category. A feature of LiveAuctioneers.com, aside from its clean interface, is that they have a consignment service that helps connect you with an auctioneer that will help sell your items. If you have something that you want to sell at auction but do not know who to speak with, this is a good service to help get you started. One of the oldest services is icollector.com. They are a strictly collectible market auction service. Although their catalog is smaller than the others listed, their listings are comparable in the collecting categories. iCollector.com may not be as elegant as other services, but they do have the inventory for you to look at. There are just under 15,000 lots of various numismatics. Their strength is that the numismatic categories are divided by country and type. Where other auctions make have a general category, iCollector.com has categories to allow you to narrow your search down to what your interest. Last, but definitely not least, is Invaluable. Auction companies that use Invaluable are what could be classified as mid-to-upper range companies. These companies are more concentrated around art and furniture but have added collectibles and other categories likely to facilitate sales from companies that buy higher-end estates in order to keep them as clients. Most of the auctions on Invaluable are absentee bid auctions with some items available for immediate sale. As I write there, there are 20,485 lots available in the Coins, Money & Stamps category. In fact, over the last few weeks, gold and silver bars dominate the listings on the first page of the category. Invaluable is also a site with a very clean interface that is very welcoming. They also divide their larger sections into individual categories so whether you are interested in US Coins or Ancient Coins, you can browse that section without clutter. Since I started writing this article, I won several silver Chinese Panda coins from an online estate auction. Most of the coins were purchased at or below the spot price of silver even when adding the buyer’s premium. One of those coins that were purchased a little over the spot price is the very popular 2000 Panda that can sell for a lot of money. There are other coins that I purchased at less than market value. Even though I am not a fan of third-party grading services, especially for modern coins, I will send these coins to one. Although I think all but one is genuine, and it is possible it was a pocket piece, as long as the 2000 and amake up of the pre-2000 silver Panda coins are genuine, I will more than makeup for the cost of the entire purchase plus the grading fees. Now go out and find your own bargains! If there is one story from this week that makes my blood boil is from the Houston Chronicle. They reported that a 72-year old woman was duped by the National Collector’s Mint (NCM) into purchasing $1.3 million in alleged rare coins. The elderly woman, like many other elderly who may not have the experience to deal with the sales pitch or understand the nuances of the particular investment, was smooth-talked by one of their salesmen who played on her emotions. According to the story, the woman has infrequent contact with her children and used to look forward to the sales call from the NCM representative. Like similar scams, the representative likely fed on these emotions to convince her to buy NCM’s overpriced products. The National Collector’s Mint settled on a fine of $750,000 from the Federal Trade Commission for advertising they were selling “official” 9/11 commemorative coins. The FTC claimed the ads were deception because no such coin was authorized by Congress, the only constitutionally legal entity to grant legal tender status to any coin from the United States. NCM settled without admitting guilt. With all due respect to the National Collector’s Mint, they have advertised garbage collectibles before. Whether it is the not-so-official 9/11 commemorative coin or the tribute proof plated with gold with less than one-dollar in value, the television commercials that I have seen even on allegedly reputable cable channels is enough to make one gag on their coffee. If you have elderly relatives living alone, give them a call. First, you will be doing a good thing especially if they are your parents. Even if there have been problems in the past, get over it. Life is way too short to hold a grudge. While talking with them, make sure they are not being taken advantage of by the likes of these scam artists. By talking with them they will not feel lonely and have to seek comfort in the voice of a smooth talker sitting in some cube farm in some sterile office. Please remind them that if the deal sounds too good to be true, it is not a good deal! This includes the overpriced coins that are sold on the television shopping channels!